Fresh ink! Gisli’s first tattoo… Big. Classic. And bold. 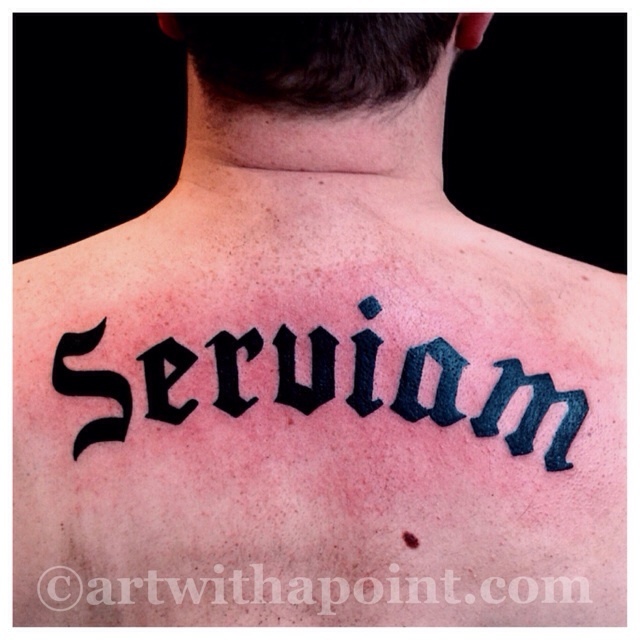 Sometimes I wonder if the tattooing medium will contribute to the preservation of typography. https://www.artwithapoint.com/wp-content/uploads/2018/09/logo-and-type-v2.png 0 0 admin https://www.artwithapoint.com/wp-content/uploads/2018/09/logo-and-type-v2.png admin2013-11-21 22:27:312013-11-21 22:27:31"Serviam"